Here at Bjorn3D we are no strangers to the SilverStone brand. 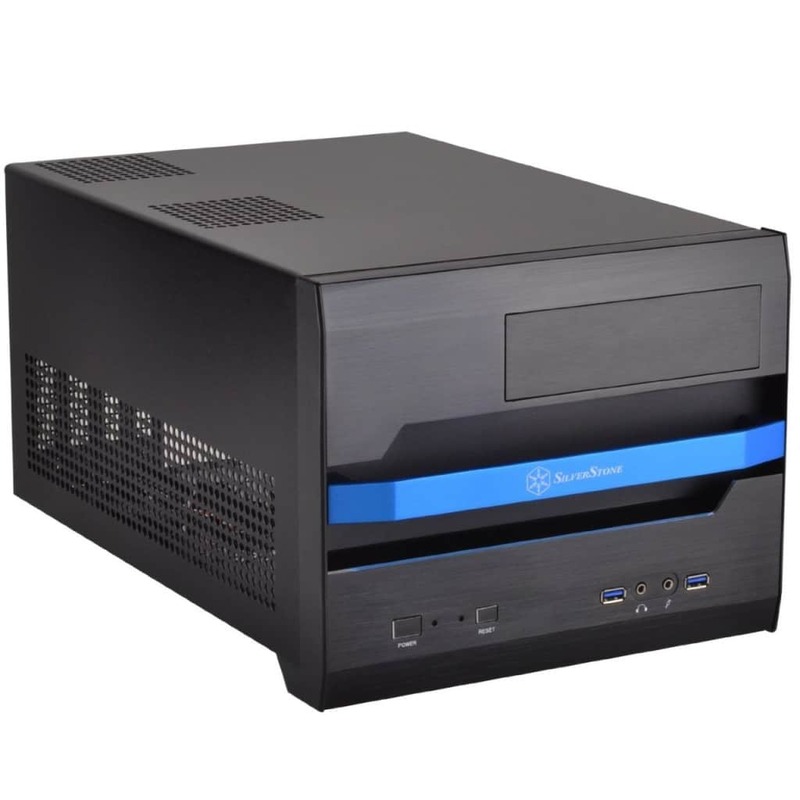 They have been creating awesome cases, power supplies, coolers and more since 2003, and we have been fortunate enough to take a look at many of their offerings over the years. Early on in their history, they created the Sugo series of cases, a line which caters to those that wish to build a small form factor PC. The latest case in the Sugo series is the SG12, a compact, yet roomy, SFF case. With room for large video cards, as well as ATX power supplies, the Silverstone SG12 looks to be a great contender in the growing SFF arena. Does the SG12 meet the needs of a compact, yet powerful, rig? You’ll have to continue to find out. 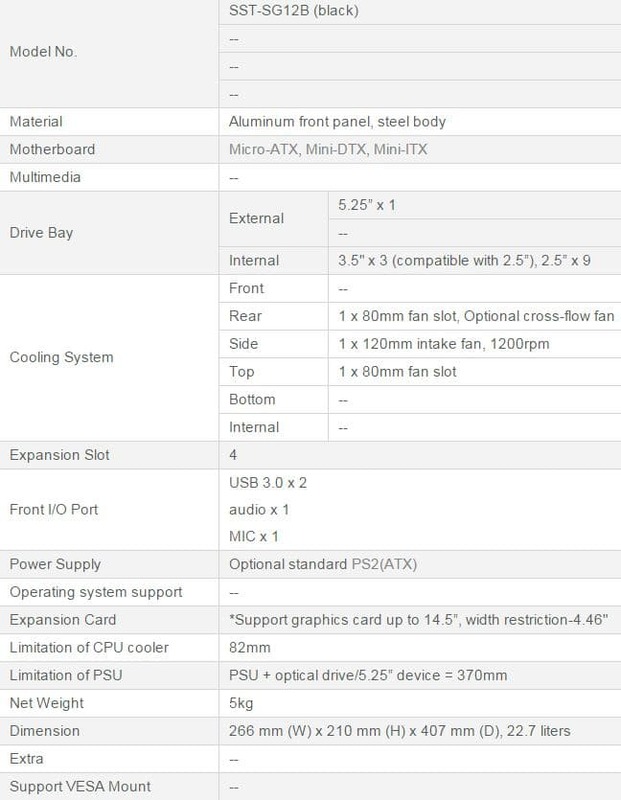 There are quite a few reasons for going the SFF route with a PC build. One of them is due to a lack of space, thus requiring a build that doesn’t take up much space. Not everyone has the luxury of extra space in their living areas, and utilizing a SFF design can help free up some space for other necessities. Another reason for choosing an SFF build is for portability, specifically for LAN parties. Being able to transport your rig easily can help make attending a LAN party that much more enjoyable. Lugging around a full-tower ATX build can be cumbersome and tiring. Thankfully the SG12 has a few tricks up its sleeve to assist with portability. Take a look at some of the SG12’s features that really stood out to us. Aluminum Carrying Handle: One of the first things you notice about the SG12 is the blue aluminum handle that spans the width of the front of the case. Not only does this add a nice touch of color to the case, it is fully functional, allowing you to carry the SG12 easily and securely. Room for Long GPUs: The SG12 supports graphics cards up to 14.5 inches in length. Granted, you have to make some adjustments to the case when it comes to your storage options if you want to take advantage of longer cards, but the option is there. ATX PSU Compatible: Being able to fit a standard ATX power supply in the SG12 means that you can provide all the power you need without having to make compromises on performance. Tons of Internal Storage: There is room for three, 3.5″ hard drives in the SG12, and a cooling fan dedicated to keeping them cool. An additional nine 2.5″ mounting points are available for SSDs. Considering that you can also mount 2.5″ drives in the 3.5″ bays, you have the option of installing 12, yes 12, 2.5″ drives in the SG12! Previous Zotac GTX 980 Ti AMP! Extreme – The fastest 980 Ti available? Is it just me or is the interior just like in the sg02 except for some modifications? 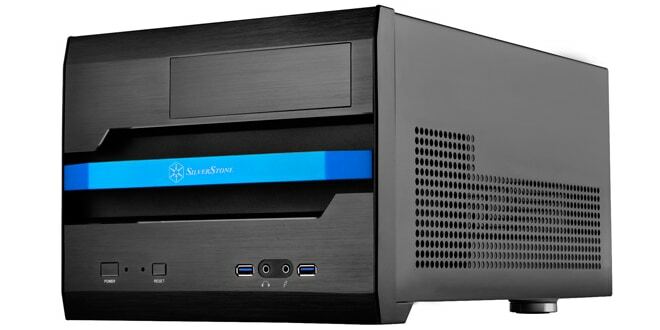 SilverStone has had great success in the past with their SUGO line of small form fa ctor cases, and the addition of the SG12 should help them to continue that success.